Sweet Amelia and her parents came to visit me at my St. Louis Hills photo studio at just 1 week new. 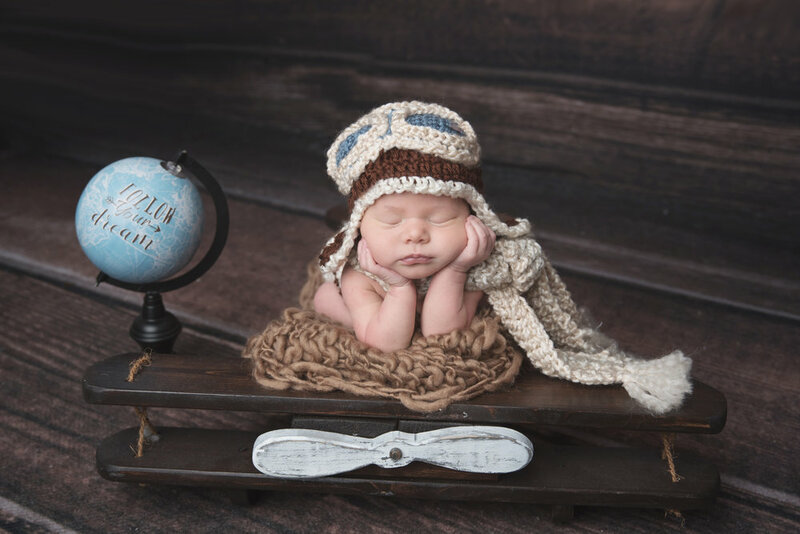 <3 Her parents told me ahead of time that they had gotten a special aviator hat for her to wear in the photos. Since I had the heads up we were able to plan out this cute setup with our wooden plane. <3 Please enjoy a few captures from her session.